Habeas corpus is considered one of America’s most important safeguards against severe government abuse because it protects people from unlawful detention. But after extensive research of thousands of habeas cases, two criminal law experts believe habeas corpus is being used in ways it was never intended, resulting in a costly waste of scarce legal resources and taxpayer dollars. 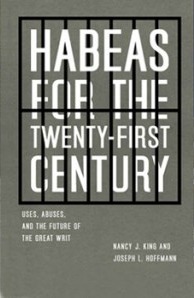 To overcome this misuse, law professors Nancy King of Vanderbilt University and Joseph Hoffmann of the Maurer School of Law at the University of Indiana propose a series of reforms in a groundbreaking new book, Habeas for the 21st Century: Uses, Abuses, and the Future of the Great Writ. A habeas petition gives a federal judge the authority to decide if a prisoner is being held unlawfully and order his release. 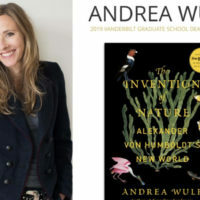 King and Hoffmann contend that the writ of habeas corpus is a necessary and effective mechanism for responding to a temporary crisis that creates a need for detention, until a longer term solution is developed. Right now judges are using it to ensure alleged enemy combatants are held legally at Guantanamo Bay. It has also been used to free those illegally confined for deportation as part of the “Red Scare” and the thousands of Americans put in Japanese internment camps during World War II. Habeas also has also helped correct gross abuses of power in state criminal justice. After the Civil War, habeas helped enforce the new 13th and 14th Amendments by preventing the states from imprisoning freed slaves and Reconstruction officials on trumped-up criminal charges. “Habeas is effective when it’s used to restore balance, to manage a transition. But when alternative judicial remedies have been established and balance is restored, habeas shouldn’t be used as a routine mechanism for review,” said King. As an important step to maintain the integrity of federal habeas for crisis situations, King and Hoffmann propose that Congress reduce access to habeas for state prisoners to only two categories: those sentenced to death and those with strong new evidence that they are innocent of the crimes of which they were convicted. 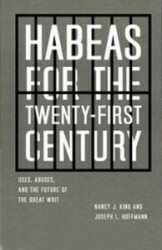 Two chapters in the book address death penalty cases and use findings from the study to argue why habeas is uniquely valuable in these cases. King and Hoffmann also argue that Congress should abandon the parallel treatment of federal and state criminal cases, and that the review of federal cases should be expanded, not contracted. They believe that Congress should consider creating an alternative remedy – other than habeas – for the very different cases in which prisoners do not attack their convictions or sentences, but instead allege that they have been denied their rights to due process by corrections and parole authorities. King and Hoffmann believe more resources should be focused on helping states improve their systems for providing competent representation to criminal defendants. “There’s a better way to protect federal rights in state criminal justice. It’s not throwing resources at the back end, after a person has been convicted and sentenced and gone through all his appeals, where they do virtually no good. But divert resources to the front end to improve indigent defense and representation for more defendants, to give them a fighting chance of preventing the error in the first place,” said King. The reforms King and Hoffman suggest are based on a comprehensive study of habeas cases King completed in 2007 with colleagues Fred Cheesman and Brian Ostrom from the National Center for State Courts, Habeas Litigation in U.S. District Courts: Final Report. The study was funded in part by a grant from the National Institute of Justice. They analyzed the impact of the Antiterrorism and Effective Death Penalty Act (AEDPA) of 1996, which was created specifically to reduce the volume and burden of processing habeas petitions filed by convicted prisoners. When King examined results from more than 2,380 cases filed by prisoners serving non-capital sentences, her biggest surprise was that federal trial courts had granted habeas relief in only seven of those cases. 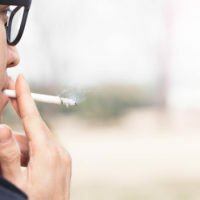 In addition, King and her team found that, since AEDPA’s implementation, habeas cases were actually taking longer to process and the number of claims had increased. That means AEDPA is not working as intended, especially if part of the intent was to reduce processing time. 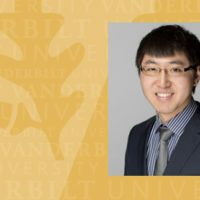 Additional information on King and her research can be found in this Vanderbilt Law School article. King has also posted a discussion of habeas reform on a blog devoted to the topic. 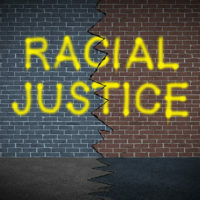 King and Hoffmann also wrote an opinion piece, “Justice: Too Much and Too Expensive,” which was published in the April 17, 2011 edition of the New York Times.